This WSJ timeline is worth considering as we are now 18 months into the 'crisis'. 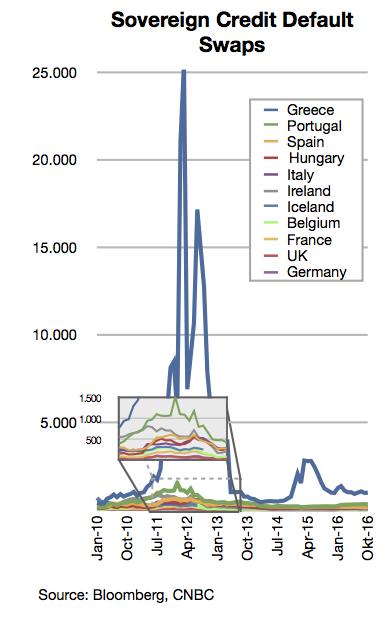 Europe is no different than the US housing bubble that lead to the subsequent credit crisis. It was fairly straight forward that the housing mess would end poorly. However, it played out slowly ... until it didn't. The housing collapse and ensuing credit collapse were the most well documented events that no one was prepared for.... until Europe. MF Global and Greece are NOT going to be the end of this story, they're the New Century or Bear Hedge Funds of this collapse. We're just beginning. Are you prepared?